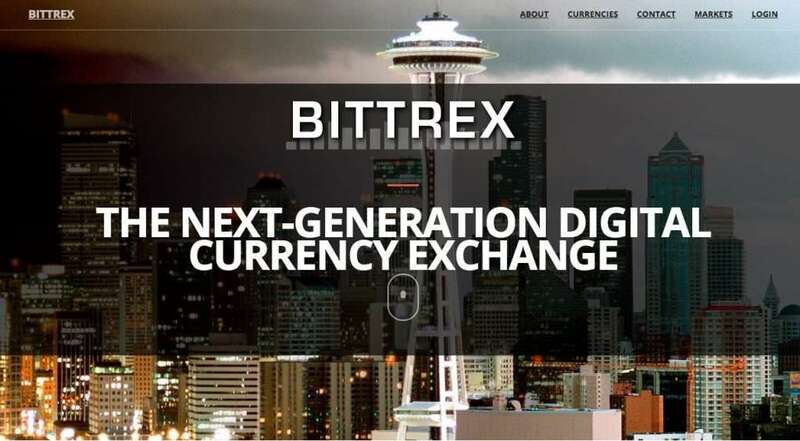 Bittrex is one of the biggest and most popular cryptocurrency exchanges in the world. Based in Seattle, it caters for American customers and therefore fills a gap in the market that was left by companies such as BitPanda. Consistently rated as one of the top three exchanges regarding global trading volume, it has been operating since 2014 and experiences 24-hour trading volumes that average around $300m. Overall the site has an excellent reputation and so far, has not experienced any hacks – which again, sets it apart from several of its big competitors. Bittrex position themselves as a new-gen cryptocurrency exchange and trading platform and they place an important focus on delivery fast, efficient, and above all, secure trading services. Bittrex was founded by Bill Shihara, who had previously worked as a security engineer for big companies such as Blackberry and Amazon, was able to draw on his knowledge to set up Bittrex. Aware of the issues that other competitors faced when it came to security breaches and problems with reliability, this motivate Shihara to be able to offer a much more reliable service to his customers. He set about putting together a highly experienced team with over 50 years of security and development knowledge from some of the most prominent blue-chip companies in the world. Bittrex is thankfully available to US customers as well as pretty much every other country in the world. However, despite being a US-based exchange, several stated are not allowed to access the exchange. The full list of restricted states can be found on in Bittrex’s Terms and Conditions. What does vary from country to country is the amount or type of verification documents that you are required to provide for the premium account. One of the great things about Bittrex is the fact that it offers a high number of different coins, as well as providing hundreds of cryptocurrency trading pairs – currently at around 140 BTC trading pairs. Bittrex offers superb options if you are interested in trading Bitcoin and Ethereum, but the downside is it doesn’t while fiat trading pairs at present. Customers can, however, buy Bitcoin, Ethereum or USDT through a bank wire transfer, although this does require enhanced verification and a purchase amount of over $10,000 is needed. There are also 11 USDT trading pairs available. 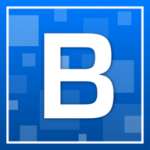 The Bittrex system is designed to facilitate quick withdrawals, deposits, and transactions via its automated platform. This means that because its automated, transactions are faster, and it also offers quick updates on trades, balance information. Bittrex is solely a cryptocurrency trading platform. You cannot buy with USD or any other fiat currency, nor with credit, debit or bank transfer. Instead, you must already be in possession of a cryptocurrency that is supported by the platform, to use it. To withdraw, and in line with the US government regulations, all accounts must be verified for the customer to make any withdrawals. As a part of AML and KYC, Bittrex upholds these requirements and ensures that any client wishing to withdraw, must verify their accounts accordingly. Standard verification allows the user to withdraw up to the equivalent of 3BTC per day. It requires the customer to submit their name, address, and DOB. These are then verified through public records and should they fail; the client will be asked to provide more details. When you enable a two-factor authentication, the 3 BTC withdrawal limit is in force. It requires a user to submit scans of their ID as well as a selfie. These are then checked and verified by Jumio which utilises a range of different heuristics to confirm that the ID is acceptable and that the faces match and are the same. With an enhanced account, the customer can withdraw up to 100 BTC per day, as long as they have a two-factor authentication enabled. You cannot withdraw your balance in USD or any other fiat currency. Instead, you must withdraw in cryptocurrency to a wallet and either keep it there or exchange it for a fiat currency through another exchange. 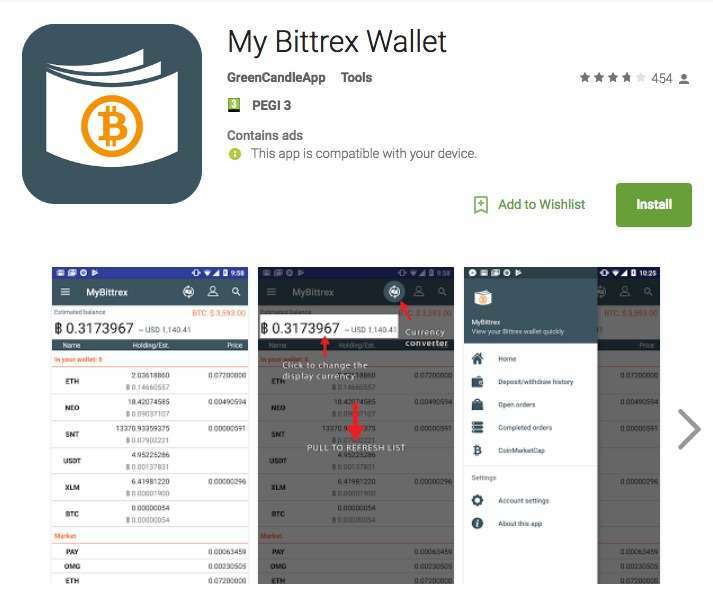 Luckily, Bittrex offers users an app version of the platform so they can trade on the go. The cryptocurrency wallet is also available to mobile users and offers you the price of all of the coins available, as well as the facility to calculate your balance and profit in real time. The app does pretty much everything that the desktop version does; the only difference is you need to make sure you do not lose your phone or have it compromised in any way. Considering the technical know-how of its founder and key team members, it comes as no surprise that Bittrex is one of the most secure offerings on the market. The team prides itself on offering the most reliable and up to date security technologies available including an elastic multi-stage wallet strategy that means that around 90% of funds are kept in cold, offline storage at any given time. Bittrex also offers a two-factor authentication process for any withdrawals and for the usage of APIs. Another plus point with Bittrex is the level of transparency around their fee structure. There are no complicated or fluctuating fees here. Instead, you pay a flat rate of 0.25% on all trades, regardless of size. 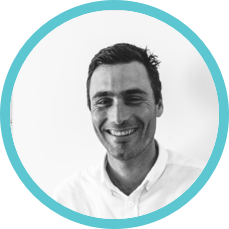 This means that it is easy for customers and traders to stay on track with how much they are spending on fees and there are no nasty surprises in store further down the line. As you would expect with one of the largest cryptocurrency exchanges in the world, they are often inundated with a large number of customer support tickets. While some companies may buckle under the pressure, Bittrex is generally pretty point when it comes to communication. As well as offering a dedicated support page, you can also interact with service agents through social media which is very convenient in this day and age, and in many ways more preferable to email. Furthermore, if there are any issues, problems, or breaking news, you will find regular updates on their social media platforms which is extremely handy and convenient. Bittrex is a custom-built trading engine which was engineered to be scalable and adaptable through the use of elastic computing. This has resulted in it being able to facilitate and execute orders the instant that they are placed meaning that it is a very smooth user experience. With no crossed order books or delays in processing trades, Bittrex is quite simply, a pleasure to use. Bittrex: Who Is It For? Bittrex is suitable for beginners that are fine with a bit of a challenge. It is ideally positioned at those that have some understanding of the markets or have perhaps traded with Forex in the past. 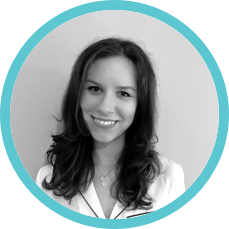 If you are a novice, there is enough information and support available online to help you get to grips with the platform, but you may well find it a bit daunting at first. 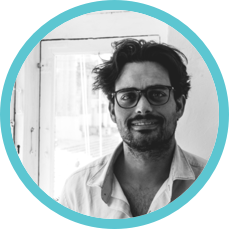 Those with a bit more experience under their belts will find it a super user-friendly platform with all the bells and whistles you would expect from a professional trading platform. If you are into trading with fiat currencies, however, this is not the platform for you as it is not supported at present. If you are looking for a vast selection of coins and cryptocurrencies to trade away to your heart’s content, then this is the exchange for you! If you are new to Bittrex and are wondering what you need to do to take your first steps, then here are some step by step tips to getting the ball rolling. #1 Go to Bittrex.com and either click ‘Sign Up‘ or ‘Login’, depending on whether you already have an account or not. #2 To sign up and open a basic account, all you need to do is provide your email address and a password. #3 Then you need to deposit your cryptocurrency. 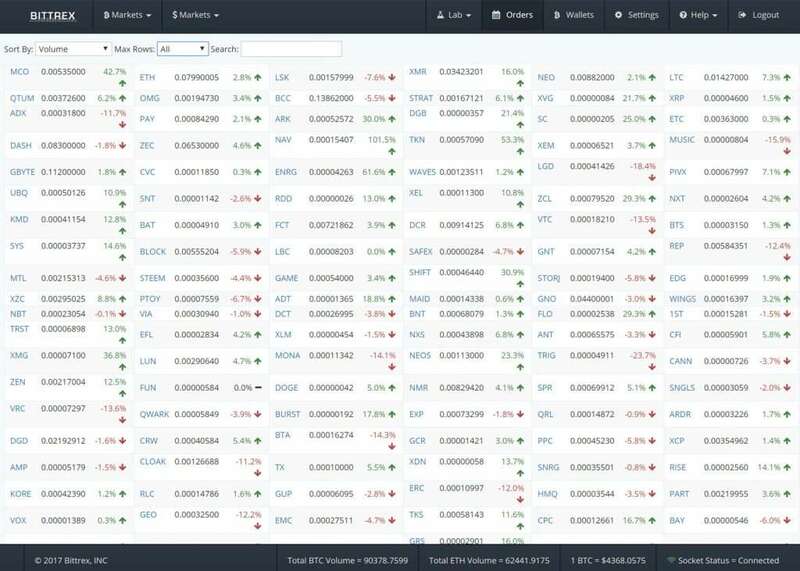 When you log in, you will see a big list of all Bittrex markets. You need to navigate to the Wallets page to then select a cryptocurrency and then deposit it into your wallet. You can deposit and trade over 250 cryptocurrencies, and you can quickly search for the one you require by using the search bar on the platform. #4 When you have selected ‘Deposit’, a box will pop up which then gives you the ability to generate a deposit address. Once the address has been created, it will be displayed to you. It is advisable first to deposit a small amount to make sure everything is working correctly. You can then deposit by sending cryptocurrency to the address that has been generated. #5 Once the blockchain has verified the deposit, it will become available to trade. The number of required confirmations and the time this takes varies on which cryptocurrency you are using. #6 Then you need to locate the trading pair which you wish to trade. Example being, trading Ethereum for Dash. The trading pairs can be found on the markets page. #7 Once you have selected a trading par, you need to pay attention to the order book. 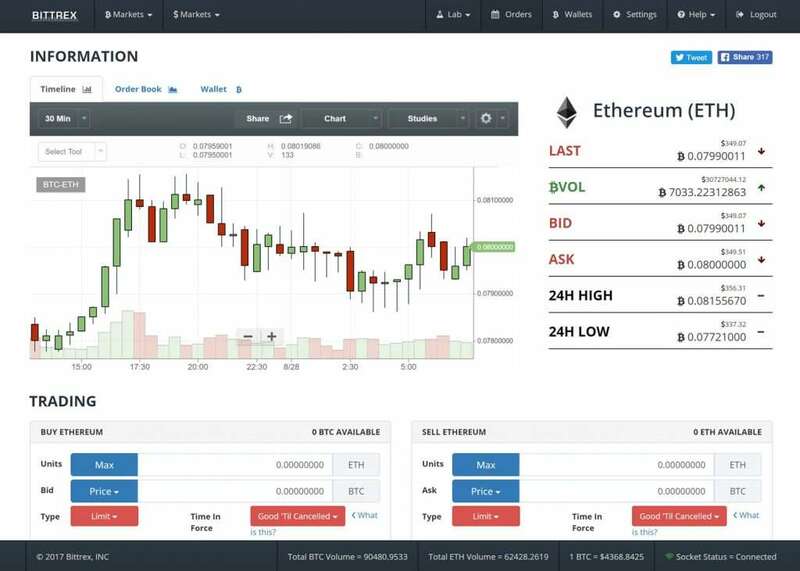 You can use it to buy and sell orders that have already been placed by Bittrex users. You need to choose the number of units you want, plus the desired price, but remember there is no guarantee that your order will be filled if it falls below the ask prices. By placing a limit on your order, you are promising and committing to buy the amount of currency that you have entered, as long as it falls below the price that you have also entered. #8 Once your order has been filled, the currency that you have purchased will appear in your Bittrex wallet. To withdraw it, all you have to do is click on the minus icon. We have awarded Bitrex with 6.0/10.0! The number one exchange because of its high level of security. This comes from the founder and his team’s dedication to making Bittrex an impenetrable digital fortress that so far, has never been hacked. This is reassuring for traders, and the fact that they store most of the currency offline in cold storage also helps to put our minds at rest. The interface is pleasant and well designed, and while it might be slightly daunting for someone that has never dabbled in the world of trading before, it isn’t going to take a lifetime to get your head around it. It offers all the features you would want from a one-stop-shop exchange and wallet. Another plus point is that US customers are not excluded from using it, although there are a couple of states that may encounter a bit of confusing. The fact that it is allowed worldwide and the fact that they appear to take their KYC and AML procedures very seriously is of high importance to customers. One of the only drawbacks is the lack of live chat support, but the strong social media presence does compensate for that in some ways. Bittrex is already filling the gap in the US market, but more states have to be accepted for Bittrex to become a global player. The lack of support for fiat currency also doesn’t make it easier for cryptocurrency beginners. However, all in all, Bittrex is one of the better exchanges out there. Great for intermediates, professionals and ambitious beginners, it is safe, secure and practical with a vast number of supported currencies and trading pairs! For more reviews, view our Cryptocurrency Exchanges Page.